July has been super busy, so it seems like just yesterday I was unboxing last month’s Simply Earth subscription. But it really is August, and it’s time for a new box! 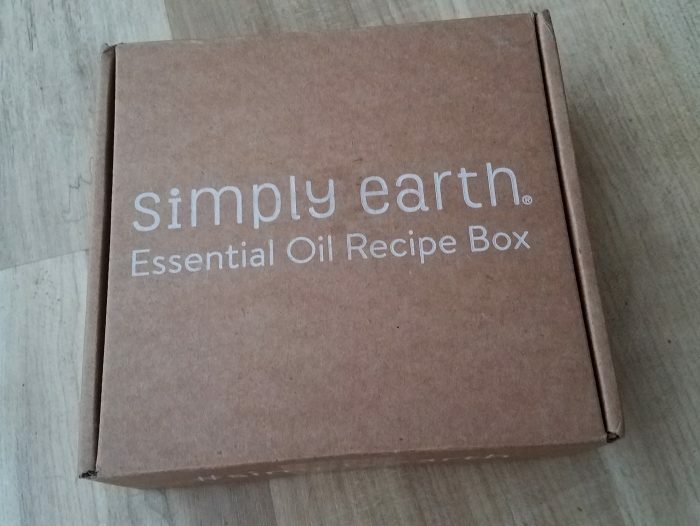 Note: Simply Earth provided me with a complimentary box to review, but all opinions are my own. Upon opening it, I discovered that this month’s theme is all about pampering yourself. Once again, the stickers are adorable! My only complaint is that it would be nice if they were cut instead of having to cut them out yourself. But they are super handy, and I love how the circle stickers make it easy to find the oil you are looking for when they are in a box. This month included the following oils: Ho Wood, Orange, Frankincense, Orange, and Fennel. It also included pink salt, a votive candle and several recipe cards. 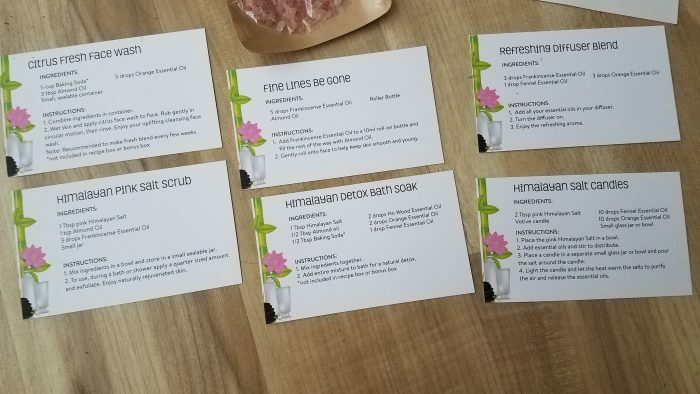 It is so fun to get a physical product along with the oils. It makes it very easy to do a DIY project instead of searching everywhere for supplies or spending hours on Pinterest. So far I’ve used the refreshing diffuser blend recipe, and loved it! It’s perfect for staying alert when working from home, or do run when you are cleaning to keep you energized. 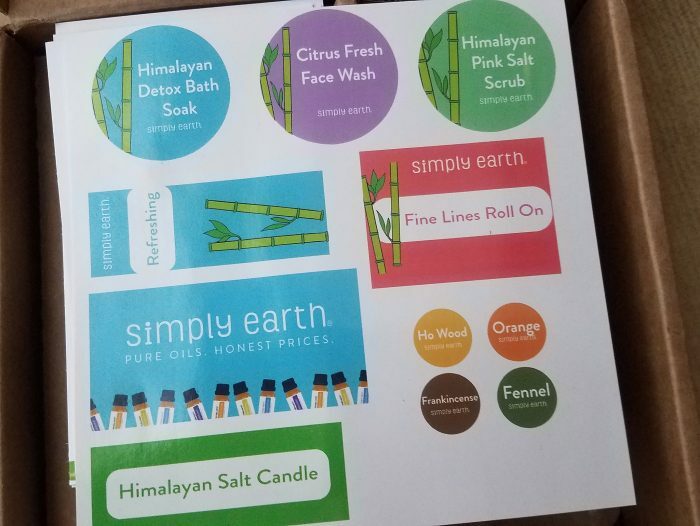 I am also looking forward to making the face wash. Everything except the baking soda is included in either this box or the bonus box that you get when signing up. Like I said, they thought of everything! This is one of my favorite subscription boxes and I can’t recommend it enough. 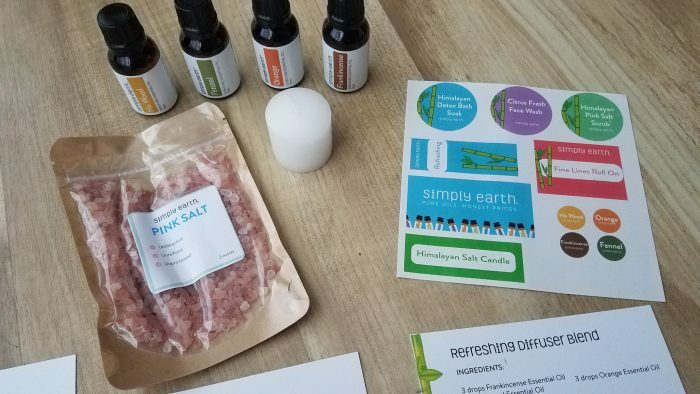 If you’d like to give the subscription box a try, click here (affiliate link) and use code WHOLISTICFREE to get the Essential Oil Recipe Box with Big Bonus Box and a $20 gift card that you can use for future purchases. Let me know if you try it!